Infant Care: How Much To Feed A Newborn? For A Parent: At What Age Do Babies Walk? How Often Should You Bathe A Baby? How Often Should A Newborn Poop? When Do Babies Cut Teeth? When Do Babies Start Eating Baby Food? How To Stop Sucking Thumb? You Are Here: Home » Parenting Tips » When Do Babies Have Growth Spurts ? When Do Babies Have Growth Spurts ? Posted by :Dawne Dale Posted date : March 5, 2015 In Parenting Tips Comments Off on When Do Babies Have Growth Spurts ? Infancy is a high time that demands lots of adjustments for little ones and parents. At the time when you feel that your baby is settled into a routine, everything changes. Few of these changes are introduced by the developmental stage known as growth spurts. Right from the moment the baby enters into this world, parents watch and enjoy every inch of growth in their newborn. Its first smile, first roll over, the first step, first Santa meet everything matters, and everything will be recorded in a scrapbook. That’s a whole different story. But as they haven’t prepared to experience the growth spurts in their bay, when they observe an overnight growth, some parents start to freak out. So it’s good to know when do babies have growth spurts. When Do Babies Go Through Growth Spurts? What is a growth spurt? Growth spurt refers to the sudden increase in the height and weight of the baby. On an average, infants are reported to have 6 to 7 growth spurts throughout their first year. Babies growth spurt usually start in their second week ( 7 to 10 days) and continue to progress in their sixth week, the eighth week, the third month and sixth months. A baby typically increases its weight into double by 6th months and triples that in its 12th month. During the growth spurt, babies may seem to grow in a predictable speed. Usually the babies growth pattern and developmental milestones differ from one to the other. In addition to the physical growth, during the growth spurt, babies attain a remarkable brain development too. When do babies have growth spurts? Given below are the most commonly observed baby growth spurts pattern. Not to mention, your baby may not go through the growth spurt exactly at these marked days. But still, you can use this chart as rough estimates. Right after every growth spurt, your baby will seem to obtain some new skill sets. Observe its behavior, it may behave little different. Following the growth spurt, your baby may start to recognize colors and tastes in a better way. 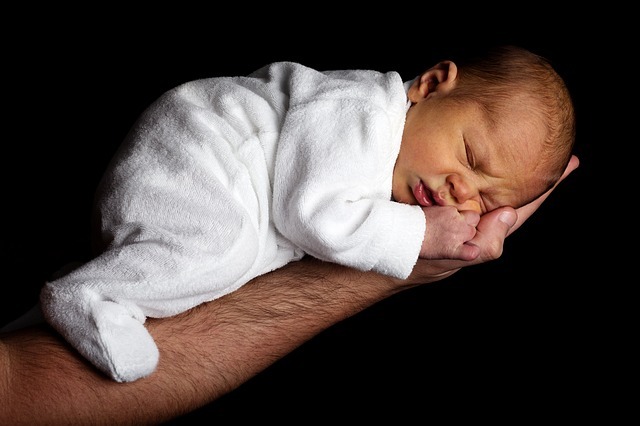 During this time, your baby may grow up to 6 centimeters in just 24 hours. During the growth spurt, your baby starts to feel appetite most frequently. It will begin to eat every hour, leaving you wonder whether you are feeding enough. Even after the feed, he will act like, still being hungry. At times, you don’t need to worry much. He is not starving, but he is acting to be. Your baby will seem to be more crankier and fussier. How long do growth spurts last? After finding an answer to the question when do babies go through growth spurts, the next possible question that any parent rise is how long do growth spurts last. During the growth spurt, apart from the drastic changes in height and weight, babies go through an abnormal lifestyle changes which give an unpleasing impact on the nursing mom too. So no wonder why the parents dwell on so much when their baby go through growth spurts. The good news is, baby growth spurts will last only 2 to 3 days. Sometimes it may last up to a week but not more than that. Once this development process is over, your baby will return to its normal life. How To Confirm The growth spurts? While all the listed signs signify, the growth spurts that happen among all the children, sometimes your baby may have some other reasons behind his/her altered behavior. Increased sleep, abnormal appetite, feeling/clinginess might mean some other illnesses too. If you feel that irritable, hungrier and clingier behavior seems to continue more than a week, fix an appointment with your doctor. If you are not sure of whether your baby is going through a growth spurt or some other illnesses, check out the below 2 things. If your baby wet the diapers in ounces and it needs to be changed at least 6 to 7 times a day, don’t panic he/she is in her growth spurts. Also, if your baby’s favorite T-shirt that seemed perfect just three days ago, seems little tighter today, it may be a sign your baby is going through his/her growth spurts. What Order Do Baby Teeth Come In?